Thank you for supporting KRCC with your financial contribution! It is easy to make a contribution to KRCC. You can always call us at 719-473-4801 or toll-free 800-748-2727. You can also join online at www.joinkrcc.org. As an employee of Colorado College, you can donate to KRCC via payroll deductions and make sure that KRCC thrives! Download the form HERE, fill it out and campus mail it to Advancement. If you have additional questions about payroll deductions, you can contact Advancement at 719-389-6354. Thanks in advance for your financial support. 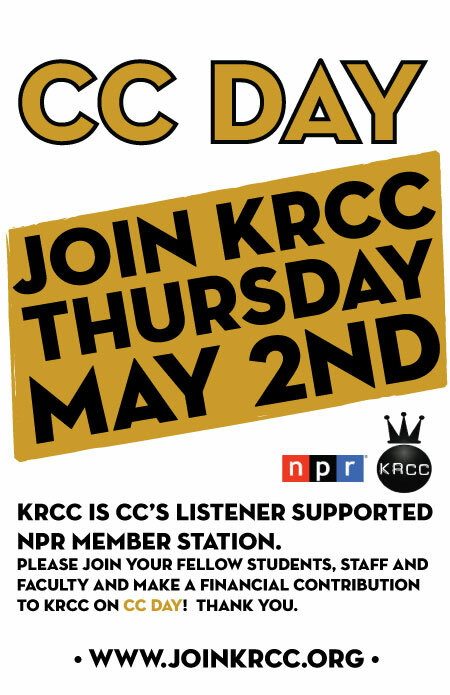 The majority of KRCC’s funding comes from members of the station.